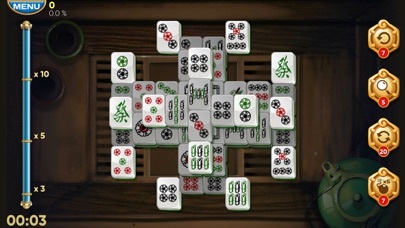 Mahjong Adventures is a classic mahjong solitaire game. 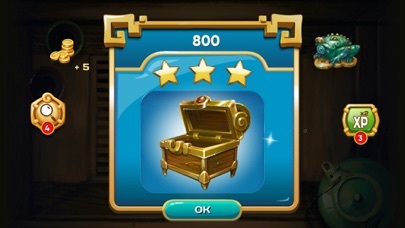 Epic adventure - heroic quests - ancient mystery - royal treasure. 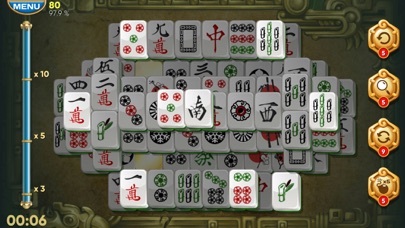 In this Mahjong game you will: - travel through 10 different locations from ancient ruins to medieval town - explore 120+ unique levels - use boosters and special abilities to break through difficulties - get treasure items, complete collections and receive rewards - gather pieces of artifacts to get new mahjong tile sets - play online against your Facebook friends and random opponents - climb the leaderboard and join the Diamond mahjong league - become an experienced adventurer and reach the highest level of mastery - enjoy tons of bonuses and rewards It's time to download Mahjong Adventures and plunge into the wonderful world of old-school mahjong solitaire game. 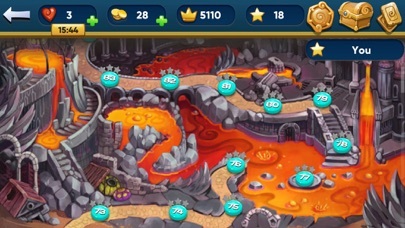 I know that you have to have adds to continue the game, but those adds, are at the bottom of the screen and they cover some of the tiles and I am not able to play. 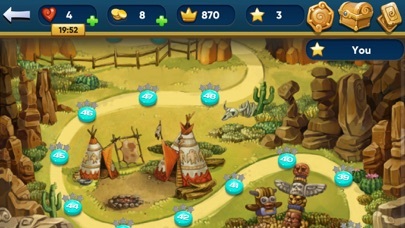 Is there a way that you can have something there to exit the add? Don't even bother downloading this game. It constantly freezes. The game is great if you can ever play it. Just moving to the next level you constantly have to exit out and retry. Very frustrating. Downloaded and one you finish a round it just freezes. Tried app support and states can't connect to server.